A heroin addict, Mark Renton decides to quit and, needing one last high, he purchases opium suppositories and then locks himself away in a hotel to go through withdrawal. Once he's sober he realizes that he's unsatisfied with his life. He accompanies friends to a club and finds his lost libido has returned and leaves the club with a girl named Diane. After they've spent the night together he that she's a fifteen year old school girl living with her parents. Renton tries to forget what happened but Diane blackmails him into remaining in contact with her. Thanks to a prank by Renton, his clean-cut and straight laced friend Tommy is dumped by his girlfriend Lizzy. Despondent, Tommy begins using heroin when Renton begins again, along with their friends Spud and Sick Boy. Spud is sent to prison after he and Renton are caught stealing, but Renton escapes jail by enrolling in a rehabilitation program. He tries to kick his habit again unsuccessfully and nearly dies of an overdose. Renton's parents lock him at their home and force him to detoxify. Renton is bored and unhappy with his life, feeling that it has no purpose. Renton leaves for London where he takes a job as a leasing agent and actually starts to enjoy his new life and save his money. He keeps in contact with Diane but few of his other friends. His old friend Begbie commits armed robbery and comes to Renton hoping for a refuge. Sick Boy arrives too, also wrapped up in criminal dealings. Back home Tommy, who had become a full-blown addict, dies and they return to Scotland to attend their friend's funeral. The group meets up with Spud, recently released from prison. Sick Boy suggests they make a dangerous but lucrative drug deal. They sell the heroin for a large sum and then go to a pub to celebrate where they discuss what to do with their profit. Renton suggests that he and Spud take the money, but Spud refuses. Renton steals the money, feeling that Sick Boy and Begbie are undeserving of it. He returns to London with a vow to live a more stable life, leaving a sum for Spud so that he, too, can start fresh. 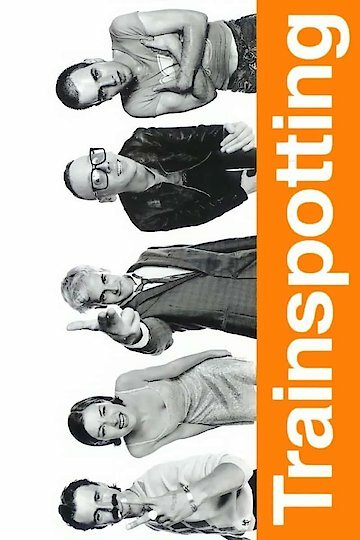 Trainspotting is currently available to watch and stream, download, buy on demand at Showtime, Amazon Prime, Vudu, Google Play, FandangoNow, iTunes, YouTube VOD online.